Mortgage rates in 2018 have risen for the most part, but there are still some home owners out there that may want to refinance before rates rise further. Even with higher interest rates, you still can save money on fees and closing costs when you do your mortgage refinance. This can end up saving you quite a bit both up front and over time. Be Wise and Prudent when Considering Closing Costs and Lender Fees on a Refinance Mortgage in this Market. Don’t leave money on the table when refinancing your home. The best thing that you can do to lower your fees and closing costs are to compare the fees that various lenders charge. There are some charges that are nonnegotiable, but plenty of them are. Some of the fees that you may see some variance on include the survey fee, title search fee and pest inspection fee, if applicable. Make sure that you get a detailed breakdown of your fees and closing costs from each lender so that you can truly compare apples to apples. Also, consider asking your lender to match the lower closing costs that you found somewhere else. This lender might have a lower rate but charge higher fees. Some lenders in the rising interest rate market want your refinance business and may budge more on the closing costs than you might think. Once you have a good understanding of all the fees the lender wants to charge you, you can begin the negotiation process. You should ask for some of the more obscure fees to be taken off the final bill of your mortgage refinance. You also can ask the mortgage lender to waive the fee for the application and the processing fee. 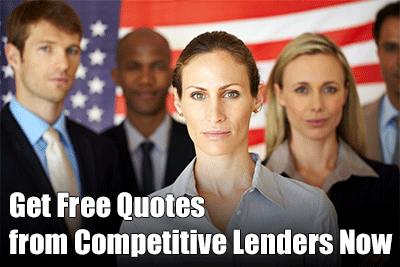 The application fee covers the lender’s administrative costs for you applying for the loan. Lenders may not want to drop their origination fee. But if you know what the average cost for that is, it can help you as you shop for a mortgage. A common origination fee is 1% of the loan amount. The origination fee for a $300,000 refinance should be around $3,000. If you are working with a lender who charges above that, you can ask them to drop it. The highest you can be charged for an origination fee is 2%, but we would definitely shop around if your lender wants to charge you such a high fee. The refinance lender should give you the closing disclosure form as early on as possible. Compare what you see on the closing disclosure with what you see on the mortgage loan estimate. Ask the lender to explain anything that is not the same. If your home has been appraised any time recently, you may be able to skip the new appraisal. Ask the lender if you can get an appraisal waiver. If you are not able to waive it entirely, you could be able to save some bucks by getting an automated appraisal instead of a full one with an actual human being. You can ask for a reissue rate on your title insurance when you re-up on it for a mortgage refinance. Every new mortgage has fees and closing costs. You can opt for a no closing cost mortgage with some lenders. But note that it just means you are paying closing costs and fees by another means. You may have the option of rolling closing costs into your mortgage refinance. Or, you could have ‘free’ closing costs that come with a higher interest rate. Whether you want to do that depends on a few things. Most importantly, you need to know if you want to stay in the home for years or not. If you plan to stay in the house for more than five years, you might want to just bite the bullet and pay the closing costs now. A possible exception is if you want to pay off high interest debt with cash proceeds from the refinance. If this describes you, paying down that debt can be smarter than paying the closing costs out of pocket. Some experts recommend shopping around with several mortgage refinance lenders, and we can’t argue with that. But some lenders may charge you less in terms of fees and closing costs if you have closed a mortgage with them before. At least, there could be less paperwork involved because you are an established client. Some lenders may reduce your closing costs if you have more assets in the bank. Lenders such as Bank of America may reduce origination fees on some loans if the borrower has more cash in savings. If you decide to get a refinance, you can possibly save big on lending fees and closing costs with the above advice.